Many businesses irrespective of their product and services are evaluating the need to develop on-demand delivery apps. The on-demand economy has transcended the traditional business models; allowing people to get instant access to what they want and where they want. The rise of on-demand apps is the very reason that every sort of business regardless of products or services it’s offering a develop an app. Though relatively new business form, on-demand delivery applications are quick gaining fame among its users’ world over. On-demand delivery apps are meddling one industry after another. What was created by uber as a taxi-hailing app is now everywhere from grocery to health care? Call it the scare of missing out, the demand of on-demand app developers is at an all-time high. The major goal of on-demand apps are aimed at resolving the daily problems of average people with real-world solutions. These apps combine seekers with providers for the swift delivery of goods and services. On-demand app services make our lives more comfortable by offering conveniences from chauffeur-driven vehicles and meal deliveries to repair and car wash services. This types of apps are popularly termed as “Uber for Couriers” and primarily allow delivery of any type of stuff. These package delivery apps connect people with items to send to drivers/delivery agents/couriers services around them. Perhaps the most popular sector for On-demand apps is food and grocery. Just a matter of few taps on the mobile phone, sitting in the comfort of home, people are getting their food and groceries delivered to their doorsteps. No need to step out on a sunny day or struck in the traffic to get your groceries or have your favorite meals. This sector is booming with much On-demand food and grocery delivery apps and you can be a part of it too. With unique customization and robust business model, can be the next Zomato and Instacart. Delivery App Types – Who Is the Sender? Receiver? These are the type of delivery apps that empowers a person to request an item from another person. Eg: Courier app. Many companies have developed on-demand apps to offer their products and services to their customers. Eg: Domino’s Pizza which is a food order and delivery app that offers features like built-in pizza tracker, allowing the buyers to keep a focus on what’s happening from pizza preparation to pizza delivery process. This type is usually found in b2b communications related to deliveries. Eg: These apps are used to raise and track new orders from vendor partners. Colluding with third-party delivery provider: If you don’t want to invest in developing your own app, you can simply club with some existing on-demand delivery app service provider to sell your products in the market. Note that the app will on the other user company base that the people will know. Despite you will save on developing your own delivery program, the cost of collaboration will depend upon the company to company. Developing a dedicated app: if you are very much worried about collaborating with third-party companies, then you can get your own business app. It will increase your sales and also gives you the whole control over all the operations involved. These will be the best businesses ideas which will be in continual demand. How a Typical On-Demand Delivery App Works? Irrespective of, the kind of on-demand app or it’s vertical all such apps have the same set of basic traits. The platform is built with both the delivery requesters and delivery provider in mind. An app is used to place an order like ordering for food and delivered to the optimal service provider. The specified delivery agent picks up the package/order from the source location (person/shop/warehouse). With on demand-app services, you can track the order status in real time. The tracking of the package starts when the order is sent from the source until it’s delivered at its final destination. Push notifications are usually given for regular shipping updates. The customer pays for the delivery and provides his approval (via signatures, OTP, etc.) on successful delivery of the package. 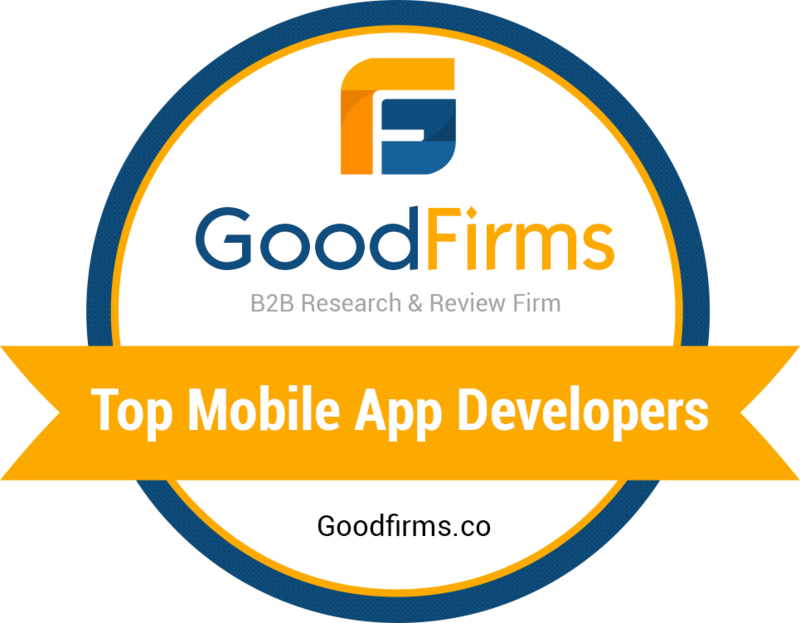 High ratings and good feedback are essential for the success of an app. After using the app, customers can leave positive or negative feedback based on their delivery activity. Don’t forget to offer tempting discounts and offers. It will make the customer use more time on your services. All kind of on-demand apps has the same set of basic features even though they may have unique customizations and workflows that set them apart from the rest. Customer’s Perspective: The essential features include placing the order and getting it accepted, tracking, scheduling a delivery, making the payment and giving feedback. Delivery Agent Perspective: The delivery Agent should be able to get east registration on the mobile app and get approval from the admin without any hassles. The pickups and delivery points and the distance between them need to be very clear. If the order is accepted or rejected the status must be updated to reflect the same. So that it will be easy for the delivery agent to pick up the order and deliver to the desired person. They should also have the access to track the booking histories as well as the status of all orders including the canceled history. Platform Admin’s Perspective: They require an online portal to monitor incoming order and the details of the corresponding delivery agent. Notifications need to be sent to the customer and delivery agents to keep them in the loop for the entire delivery process. The delivery agent needs to confirm the package delivery with customer signature and location tagging. Real-time tracking is another much-required feature from the admin’s point of view for keeping a tab on the delivery formation movement with an interactive map view helps them stay aware of the situation. Reporting and analytics can render useful acumens for making data-driven decisions and optimizations. How To Grow The User Base? Once you initiated about trading your services through an app, you need to grow your presence in the marketplace. Here are some techniques that help you to gather enough user base for your business model. Start smartly: Every start-up doesn’t have huge funds to give a drive to their campaigns and marketing strategies. So, it makes sense if the company begins from the ground level and infuse a good enough amount initially. If the business type gets going, more funds can be elevated later. Also, the local market will give an idea of how the services are going to perform in the longer run. Advertise and advertise: The basic thing to do before launching any product, the company needs to promote their services or product on the market. So that, people should already have a Clear idea what is coming in the market, and it will also reduce the time of BEP or break-even point. Wait!! The story doesn’t end here. Here comes to the most challenging task, that is of holding on to the customers with whom the company is engaged directly or indirectly. Reliability plays a crucial role in retaining customers, and it comes from sincere efforts. Initially, it’s hard to make your appearance in the market. So, if the company do well and collect some customer, hold on with them. The reports suggest that customers are very company loyal; once they make their belief in a company, they are going to follow it for long. Thus the should look to take advantage of this fact and bind the customer by offering impeccable services, coupled with discounts and deals. Swift: Being a customer, you just have to pick up your device and choose your product. After setting an order, it takes maximum a day to get on to it. Low cost: The best part of the on-demand apps are their low price services due to the engagement of their own armada of transport and the workforce. Convenient: Nowadays, everyone is quite friendly with mobile devices. So, to place an order from the app is not complex at all. Moreover, it saves the consumer time and efforts by placing an order like this. Transparency: The apps offers glassiness from the time of placing the order to the delivery. The push warning is another tool which helps the customer to stay aware of their order from time to time. The cost to develop an On-Demand Delivery App? Now that you understood the essentials of developing an on-demand delivery app and the features that required to be consolidated, it’s time you consider how much will it cost to develop an on-demand delivery app. The cost estimate for developing the entire app platform is complicated and involves multiple factors. Call us for a free quotation today. So, it was all around the on-demand delivery app. Due to its comforts of use and ease, the business houses are going for it. Ultimately, it will hold the true potential to reshape the marketing tacts of any company in the future. If we talk about the cost of developing an on-demand delivery app, it goes the same as that of a normal app. The final cost of the app will somewhat depend upon the features and functionality which you will add in that app. Krify is the one top mobile and web application development company based in UK, US and India having high competency in developing on-demand apps all types as per the business requirement. Have a glance at our portfolio. Contact us today for your requirement.